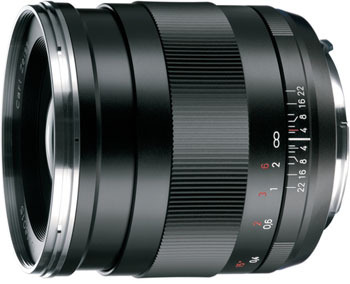 The Zeiss Distagon T* 25mm f/2 ZE EF Mount Lens is a recalculation of the original Distagon first introduced in 1961. A rugged build and high-performance optics are paired with a fast maximum aperture and close focusing distance. This lens features a precise manual focusing mechanism with a large rotation angle. It boasts optimum control of glare and stray light to ensure brilliant images. This lens is ideal for videography, street photography, landscape work, interiors, and large group portraits. • This is a manual focus only lens. • This lens is compatible with Canon EF mount cameras in both full frame and crop frame sensors. The focal length equivalent on crop frame sensors is 40mm.